Did you know that Wholesale Clearance UK trades on eBay too? If the answers no then your missing out on some real bargains! Not only is there a wide range of bankrupt stock and wholesale items available to purchase on eBay from Wholesale Clearance UK. There is also something special which happens every Sunday & Thursday evening, when anything from twenty-five to fifty wholesale lots is listed on Wholesale Clearance UK’s eBay site with the starting price at just 1p, with no reserve! And when the auction ends just seven days later you can be sure that someone has just got a bargain of the year! This is nothing new to Wholesale Clearance UK in fact it’s something the company have been doing for around seven years, and not something that looks to stop anytime in the near time future, well anytime while your able to get a bargain anyway! Think it can’t get any better? It already has, because if that’s not enough 90% of Wholesale Clearance UK’s 1p auctions are posted with free UK delivery. Wholesale Clearance UK simply don’t care what the sale price of any of the 1p auctions sell for, all they care about is that you get a bargain! 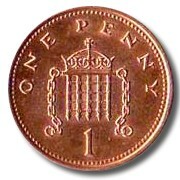 There has been more than one occasion in which auctions have sold for just £1, and who couldn’t make a profit on that! So Wholesale Clearance UK has given you a Wholesale Lot for an absolute bargain! Then they give you free delivery inside the UK. Then they throw in a code to give you 10% off your first order from the Wholesale Clearance UK website. Let’s face it, if you’re not rummaging through Wholesale Clearance UK’s 1p auctions by now, then your missing out! You can find the direct link on the Wholesale Clearance UK website. Go grab yourself a bargain! Hi, how can I get on board?